Eat Drink Savor Life – Page 3 – A lifestyle blog by Janece Maze dedicated to all things delicious, creative, and delightful in the Magic City and beyond. Can I be honest and let you in on a secret of mine? I am terribly afraid of heights despite my love of flying in planes. If you place me on a high balcony overlooking a scenic view, I will likely proceed to feel sick to my stomach and potentially pass out. 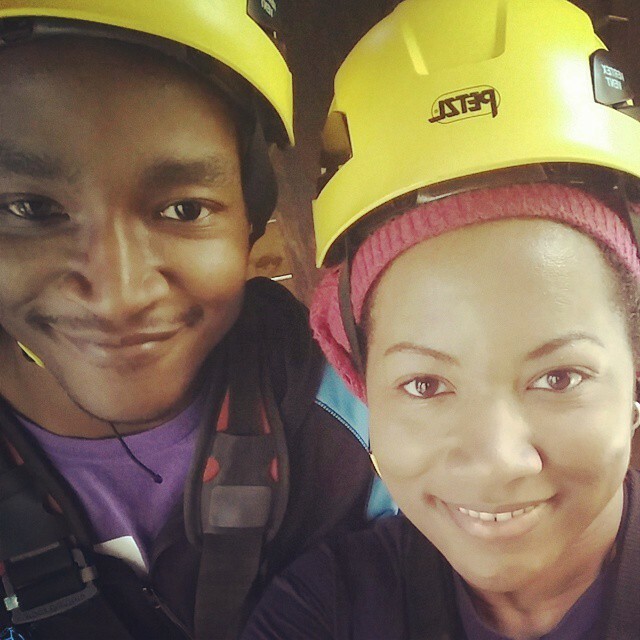 However, I decided to go zip lining with my brother side by side from the 50 mph, 82 feet tall and 1,300-feet long Kaul Adventure Tower zipline at Red Mountain Park. The hardest part of this adventure was letting go. 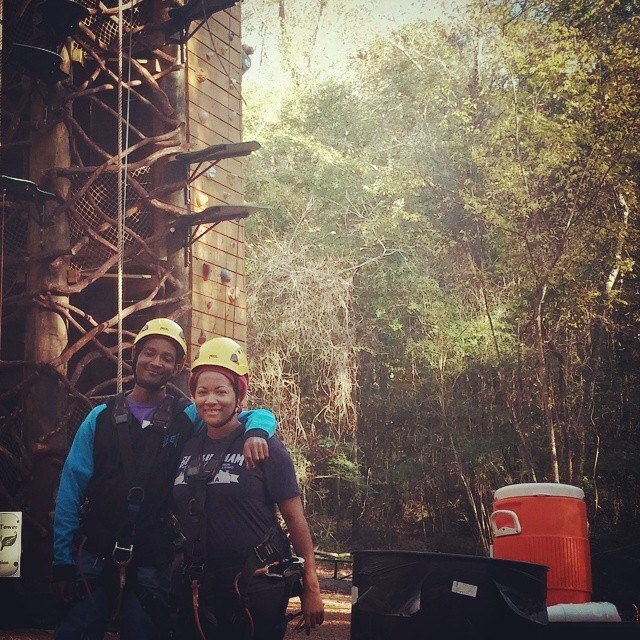 I really wanted to climb back down the tower after making it to the top but something in my gut told me to go for it. The 82 feet drop from the top of the tower zip line was the most exhilarating and freeing experience that I have had in a long time. 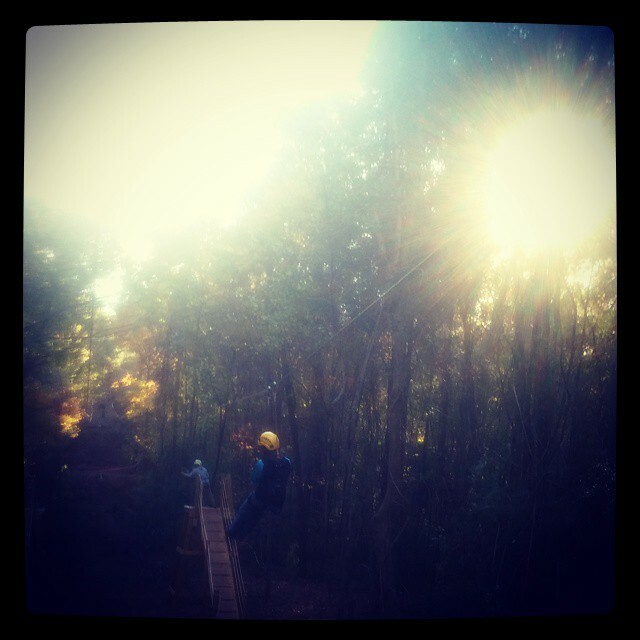 Despite my apprehension, I found the internal strength to abandon my fears to literally take a leap of faith from the zip line platform. In my opinion, faith is the most powerful thing to embrace in times of uncertainty. Fear should never drive our actions. Anytime fear strikes me, I find a way to muster the audacity to move pass it to find peace and purpose in the midst of any challenge I face. 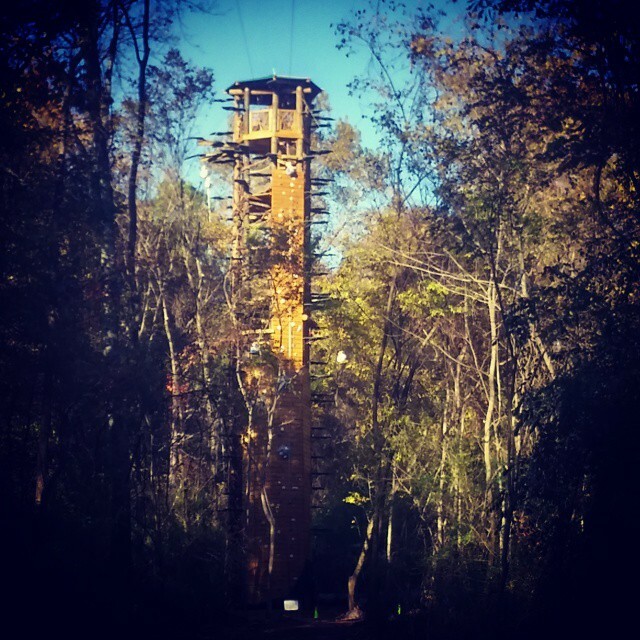 Letting go from an 82 feet tall tower only reaffirmed my personal faith and determination. It reminded me to continuously challenge myself each day and to embody the positive force that I hope to see in the rest of the world. 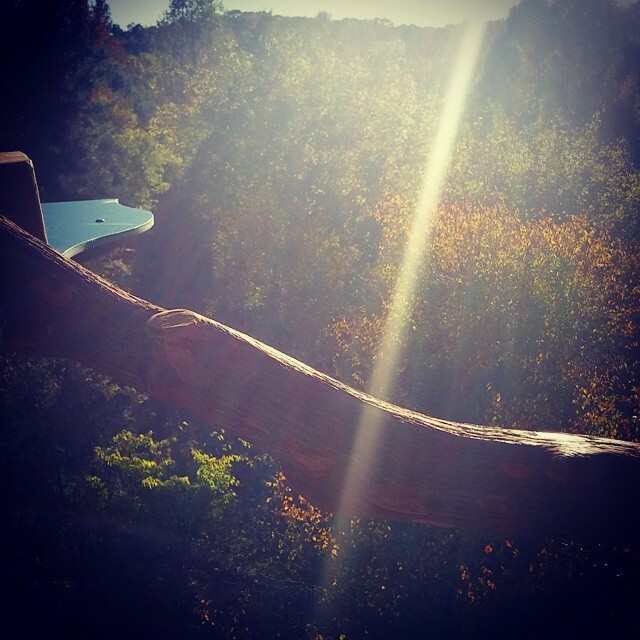 This week, I am introducing the Weekly Wanderlust in BHAM feature. The recurring installment will feature information about exciting, creative, and innovative happenings in the Greater Birmingham, Alabama community. This week I am featuring the 30x30x30 Project, Seasick Records 1 Year Anniversary, and Got Your 6 Gala To Benefit The Wounded Warrior Family Foundation Of Alabama. 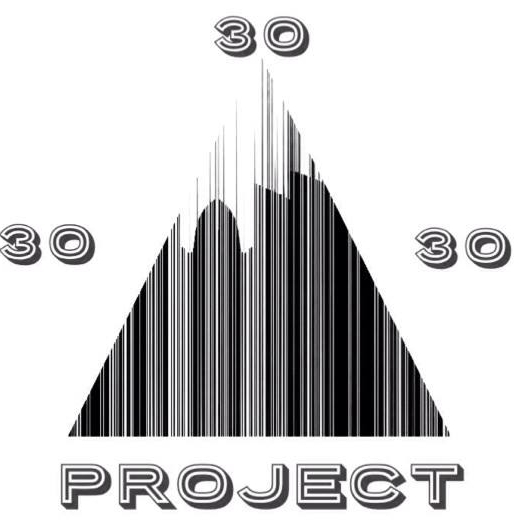 The 30x30x30 Project is a non-profit organization led by Vikki Willard (a former curator of InstagramBHAM) and Antjuan Dewandae Oden. In addition, the collaborative creative project will spotlight local, national, and international artists from Birmingham, various states, Europe, and Asia. The 30x30x30 Project operated with an ambitious goal of selecting 30 plus artists who were provided with an artist kit (that included 30 small panels) and each artist was asked to complete the panels in 30 days. The exhibition will spotlight over 900 pieces of art that will be offered for sale at $30 each. In addition, the proceeds generated from the sale of the artworks go toward a scholarship for a local high school student to use for artistic enndeavors. Each artists will also recieve half of the sale of each work of their art and the remainder will go to cover expenses incurred by the project. Moreover, the project also plans to complete a documentary narrating the entire process. The ambitious duo plans to enter the in the Sidewalk Film Festival and other international film festivals as well. The exhibition begins on Nov 7th at 7 p.m. at 2threefive Studio in Woodlawn (located at 5512 1St Avenue South, Birmingham, AL 35212) and will feature music from various artists. The two day event will include a Preview/Artist Appreciation Party on November 7th and the official opening day is Nov 8th. Check out http://www.facebook.com/pages/30x30x30-Project/774052592616455?pnref=story for more information about the project. The Seasick Records One Year Anniversary event will take place on Saturday, November 8th at 8:00 PM (located at 4513 5th Ave S, Birmingham, AL 35222). 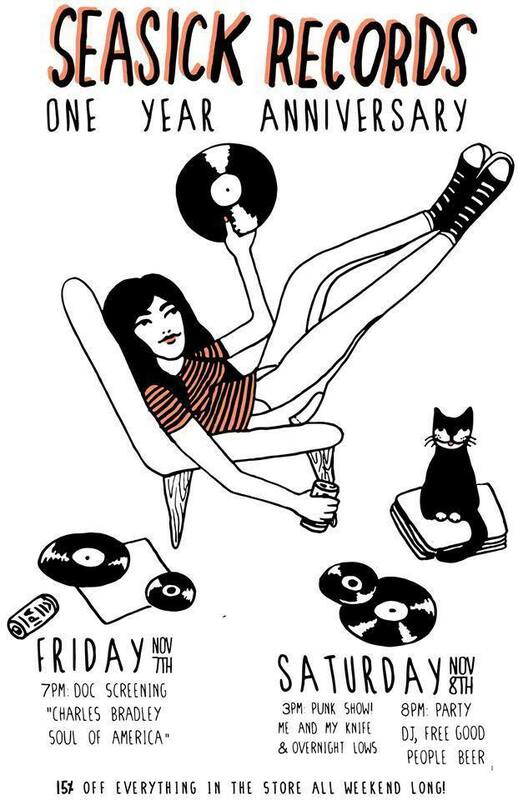 Make plans to stop by if you are a local music lover vinyl record enthusiast. The event is free and open to the 21 and up crowd. The party will include various guest DJs spinning records all evening. Guest are also encouraged to bring any records they want the DJs to play. Good People is providing free beer (while it lasts) for the party and Seasick Records will give out free cake. The one year celebration also features 15% off everything in the store all weekend long! The sponsors of the event include Good People Brewing, Tom’s Sound, & Substrate Radio. Check out http://www.seasickrecords.wordpress.com/ for more information about the event. The First Annual Got Your 6 Gala to Benefit of the Alabama based Wounded Warrior Family Foundation (WWFF) will take place at Good People Brewing Company’s taproom on Veteran’s Day, Tuesday, November 11th 2014 at 6:30 pm. The WWFF helps the spouses and children of veterans killed or wounded serving in uniform by providing encouragement and financial support to deal with the devastating consequences of war. Tickets are $ 25 each and the proceeds from admission and the silent auction will go directly benefit the WWFF. Todd English Pub is sponsoring complimentary hor d’oeuvres and Good People will have beer flowing from its taps. Alabama recording artist, Kip Traylor, will also perform during the event. Check out http://www.woundedwarriorfamilyfoundation.org for more information about the event. P.S. I know that I skipped day 5 and 6 of #bloglikecrazy. Hopefully, this post can make up for it! and whenever I am blessed to awake and see the sunrise. I attempted to contact my family members and friends to make sure that everyone was ok. However, my phone would not dial out to complete a call. Soon someone in the parking lot area of Starbucks received a call that came through stating that another tornado was coming. We all ran over to Longhorn in the shopping center to seek additional cover because Starbucks was already damaged from the first one. People began pouring inside for cover and a handful came with sad news of loves ones who were killed by the tornado in the same places they fled. We sat in the freezer area of the restaurant for about 30 minutes and next were informed that we would have to leave because there were several gas leaks in the shopping center. On the way out, a woman ran up to me and threw her arms around my body and hugged me as if her life depended on it while yelling my name. She finally let go and I discovered that it was a classmate of mine that I barely knew from school. She sat in front of me in Property class and we exchanged notes in class maybe twice over the course of the year. She told me that her house collapsed around herself and young son while they were huddled in a closet about two blocks from where I was at Starbucks. Thankfully, I finally was able to speak to my twin sister to learn that she was ok and not impacted by the tornado. Next, I began trying to call my aunt and her husband and could not reach anyone. All the while, I was informed that everyone would have to evacuate the Midtown Shopping area because of gas leaks. I huddled into my damaged Chevy Cavalier (it had glass everywhere from the windows being blown out and my driver’s door would barely open up) along with my classmate and her four year old son to find my aunt’s family. Looking across the street from Midtown and seeing nothing distinguishable in the direction heading to my apartment and my aunt’s home in Alberta City going up University Boulevard almost gave me a heart attack. I drove my car with the three of us in it around debris, fallen trees, and collapsed powers lines across 15th street, Kicker Road, and finally at the bridge that crossed over into Alberta City on University where I was stopped by the police. I left my classmate and son in the car and began walking up University to find my aunt, uncle, and two cousins while I was completely disoriented. In the dark and among flashing ambulance lights, police sirens, and leveled buildings, I could not tell where I was and felt like I was in a nightmare just hoping to wake up. By the time I found myself in front of 25th Avenue, I could not see anything but darkness and shadows of people. Unconsciously, I began running up the street for several blocks while praying that my family members were safe. Somewhere in the darkness, I heard my aunt’s voice and started yelling her name. Somewhere in the darkness, we eventually found each other after someone flashed a light towards me for her to recognize my face. I was so thankful to God to find my aunt, uncle, their two little girls, and my uncle’s sister safe. 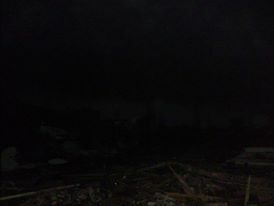 We made the long walk back to my car in the darkness, among the crowds of panicking people, police sirens, flashing ambulances, and devastation safely. That night my little broken compact car carried all of us along with my classmate and her child safely across town to my aunt’s in-laws home. I am certain the eight of us spent the night trying to mentally register what happened to our community. The next afternoon, my aunt, uncle and I made our way back to Alberta to survey the damage in the daytime. What we found was utter devastation. Entire homes were gone with just foundations intact, houses were piles of rubble, and some homes remained but were badly damaged. We eventually made our way to my apartment area to see if anything was left. What I saw made my heart drop. My gated apartment community was completely leveled with very few exceptions. I walked over the wreckage and what was left on my side of the complex was merely rubble stacked over smashed cars with debris thrown everywhere. At that moment, I was thankful to God that I made my way to Starbucks when I did because I have no doubt that it saved my life. 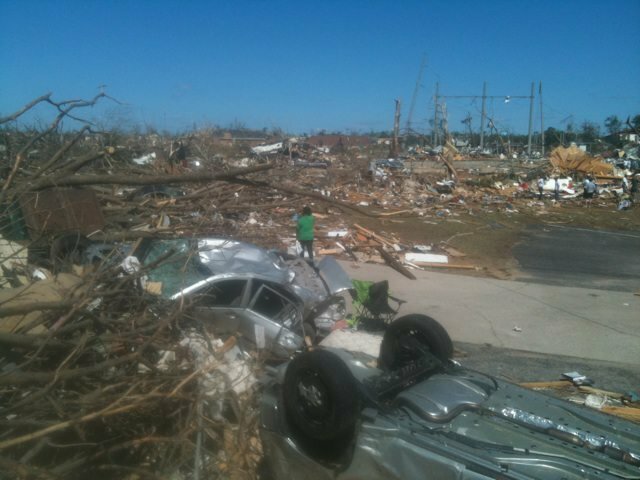 51 people died in Tuscaloosa as a result of the tornado and numerous more were severely injured. I know that I could have easily been one of them. Ernest Hemingway wrote, “Try to learn to breathe deeply, really to taste food when you eat, and when you sleep really to sleep. Try as much as possible to be wholly alive with all your might, and when you laugh, laugh like hell. And when you get angry, get good and angry. Try to be alive. You will be dead soon enough.” Living through this ordeal changed me forever and challenged me to eat, drink, and savor life every day as if it is my last. I know that life has no guarantees and that each day is gift. There comes a time where we all feel like enough is enough when it comes to harboring materialistic values. After the storm, I found fulfillment through simplifying my life by removing non-essential things and vain ideology. The intangible and valuable things remained and I discovered the importance of eating, drinking, and savoring life everyday with the people I love without reservations. P.S. Tomorrow’s blog post will cover my top Birmingham event picks for the upcoming week. My mother always jokes that I spend more time and money at Starbucks than I do anywhere else. She is telling the truth to be perfectly honest. 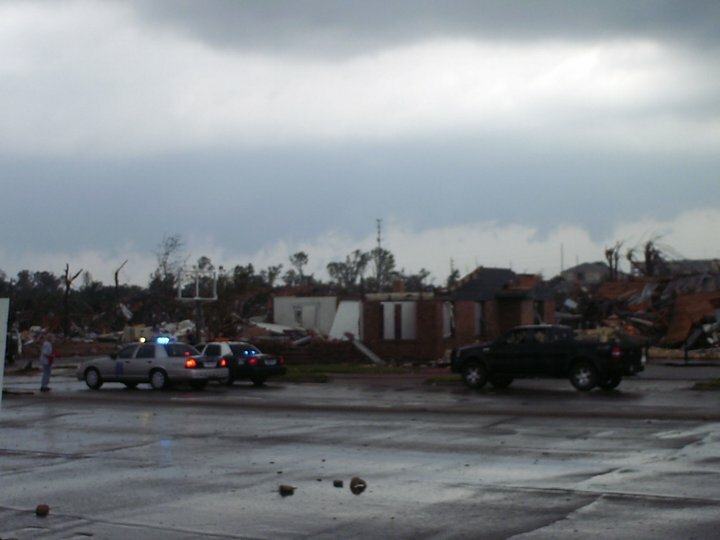 I was a law student at the University of Alabama School of Law in Tuscaloosa at the time of the storm. During the week, I preferred being at Starbucks whenever I could afford it and avoided sitting in my apartment or the library at school to study. My addiction to Starbucks is something I will be eternally grateful for as a result of events that occurred on April 27, 2011 because it saved my life. Miraculously, l lived to tell the story. The coming days of literally losing all of my material possessions yet gaining a fresh perspective on life changed me forever. I had an epiphany after the ordeal and have used each day that I am blessed with to eat, drink, and savor life – fully and freely. I woke up on April 27, 2011 with the immediate inclination to go back to sleep for a few extra hours. Classes were out for final exams and sleeping was a real option at the time. However, my next urge nudged me to get up for a caffeine fix at Starbucks to refocus my energy to study for my upcoming final exams. Unbeknownst to me, I would make it to the McFarland Boulevard Starbucks branch just in time before the devastating state-wide tornado outbreak began. I sat in my usual comfortable corner of Starbucks with my headphones on and my computer in front of me trying to review for my exam for about 45 minutes. While I was sitting, I noticed the sky getting extremely dark and cloudy. Instinctively, I started to head back home but something in the pit of my stomach told me to sit still. Next, one of the employees let me and the only other customer in the store know that there was a tornado reported in Mississippi that was coming directly toward Tuscaloosa. Fifteen minutes later, we pulled up streaming internet video of the live footage from The Tuscaloosa News that showed the tornado on the ground in downtown Tuscaloosa. Shortly after, we found ourselves looking out the back of the shop with our eyes fixed on a mile wide F-4 tornado making its way directly for our direction. Some of us, including myself, foolishly took pictures of the approaching funnel. Quickly, the service door was shut and we ran toward the bathrooms in the middle of the store. 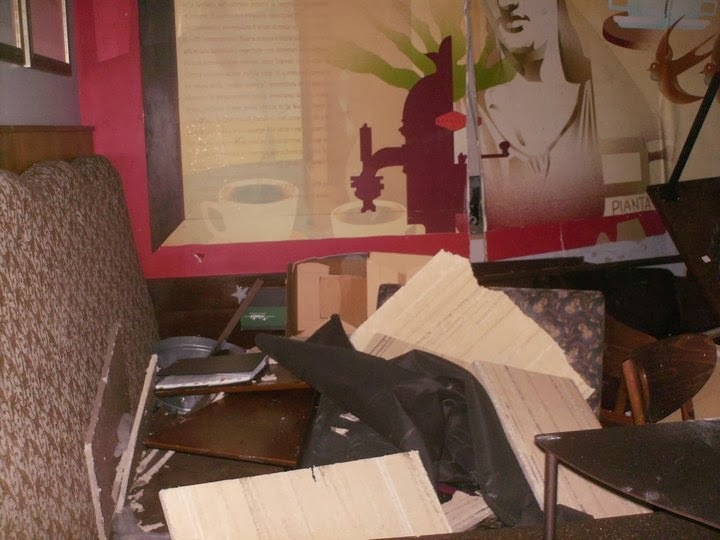 Before we could close the door, the windows began to violently shatter and everything inside of the shop flew into air. I ran for cover in the innermost part of the room and realized that my final moments of living could be drawing near. My awareness of the windows blowing from the wind speed, glass flying everywhere, and the sonic landscape sounding like a train derailing caused me to become paralyzed with helpless fear. 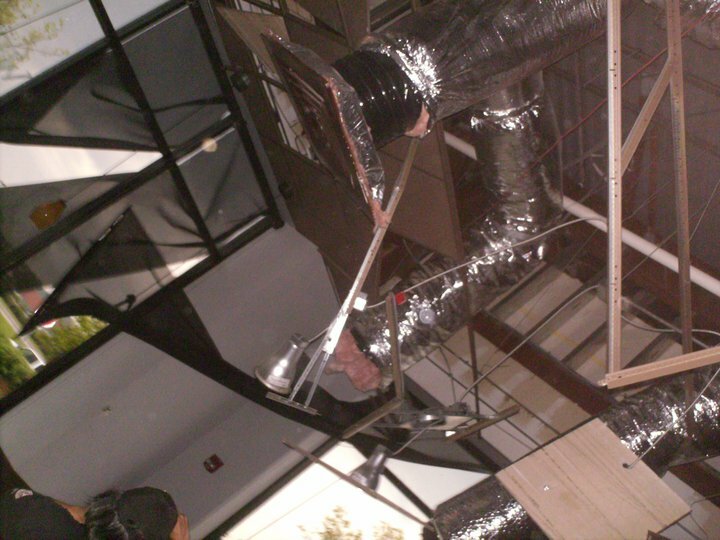 The store walls soon began to shake and the ceiling insulation started to give way. I immediately started praying, “Lord, let me live,” over and over with my computer held over my head. We opened the bathroom doors after it felt like the storm passed and stepped out to see the damage. The wind was still blowing and there was glass, debris, and furniture scattered everywhere. Upon stepping out of the store and looking towards 15th street, nothing seemed recognizable. 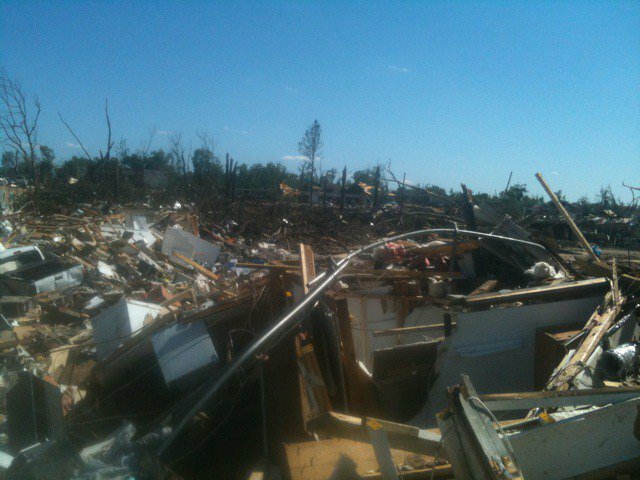 I was completely disoriented and could only see a collage of flipped over cars, rubble where houses and buildings once stood, debris, and a violent path where the tornado ripped through the heart of my town’s bustling center. The sight was simply terrifying and my next instinct made me reach for my phone to call all of my family and friends. P.S. 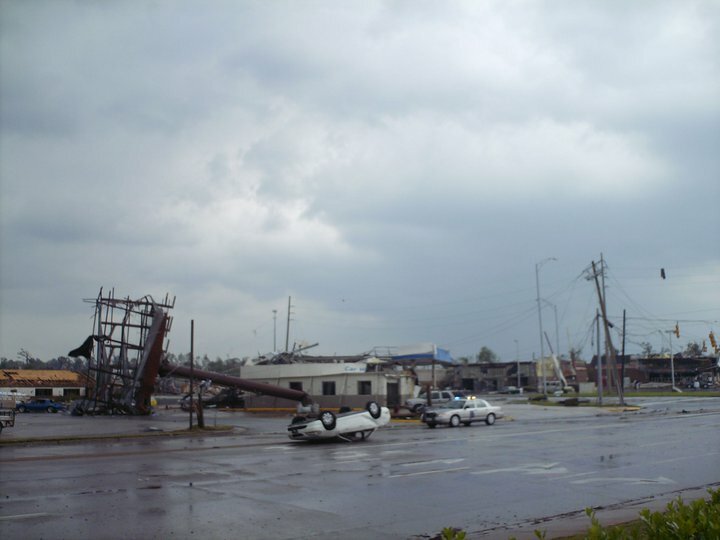 The photos included in this blog post are from my personal footage from the April 27, 2011 tornado. Stay tuned for Weather the Storm – Part II to read the second half of the story. 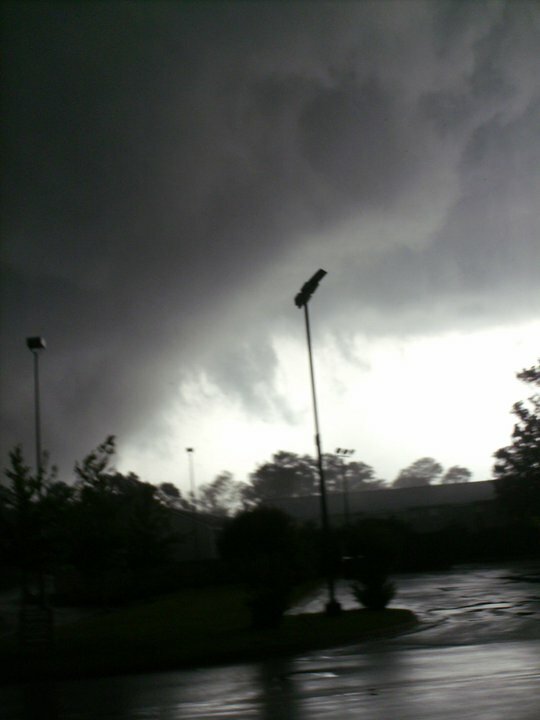 It has been over three years since my life changing experience of surviving a tornado in Tuscaloosa, Alabama occurred. It is definitely an understatement to say that the F-4 tornado shook up my life – literally and figuratively. April 27, 2011 changed me forever and there is no way to separate this truth from where I am today. Up until that series of terrifying moments, I always found myself so busy that it was a rare occasion for me to truly embrace little and big life moments with myself, my family, my friends, or my extended community. I usually found myself rushing to the next appointment, commitment, or thing without giving much thought to residing in the present moment before one thing ended. There is a line in Just Barely Breathing, one of my favorite songs by Killswitch Engage, that asks a monumental question, “Are we alive or just breathing?” Take a moment to genuinely reflect on this question. Now silently answer the question. I honestly think most people are guilty of breathing and rushing from minute to minute rather that basking in the present moment. Ernest Hemingway once wrote, “Try to learn to breathe deeply, really to taste food when you eat, and when you sleep really to sleep. Try as much as possible to be wholly alive with all your might, and when you laugh, laugh like hell. And when you get angry, get good and angry. Try to be alive. You will be dead soon enough.” I wholeheartedly agree with Mr. Hemingway and have been hell bent on being alive fully since this life-changing experience. Stay tuned to read my next blog post tomorrow to find how Starbucks saved my life and how a tornado challenged me to eat, drink, and savor life every day. P.S. The personal pictures below provide a glimpse of my life-changing experience. I look forward to sharing the extensive story tomorrow. What Exactly is Eat Drink Savor Life? Hello there! You may find yourself wondering, “What exactly is Eat Drink Savor Life?” In a nutshell, it is an exploration of all of the elements that I think make life worth living. In addition, it is a virtual love note to the people, places, food, drinks, and experiences that I love and care about the most. In the past, I formerly maintained a blog via blogger. However, I decided to shut down my previous blog and made the conversion to WordPress. 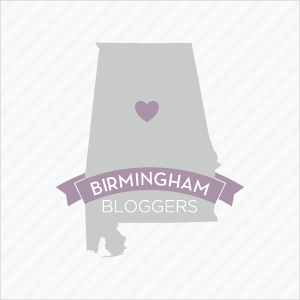 Overall, this blog is dedicated to all things creative, delicious, and delightful in my local community in Birmingham, Alabama and anywhere the wind blows me. 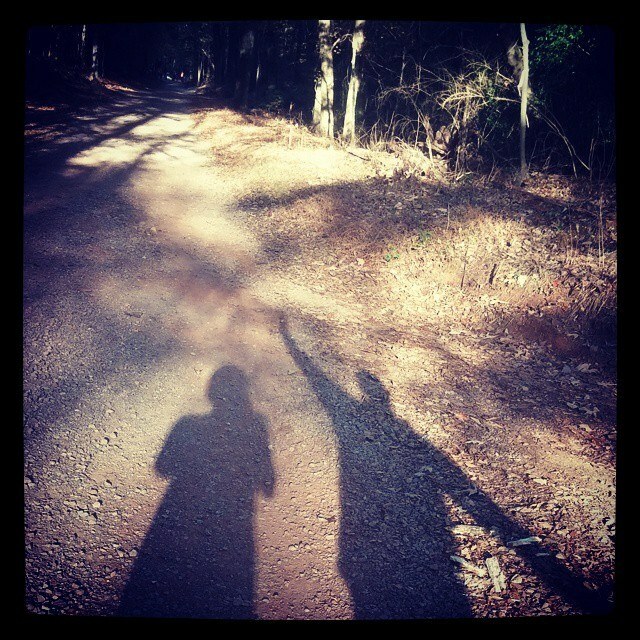 Hopefully, you make the decision to journey with me through reading, engaging, and following Eat, Drink, Savor Life. By the way, like my Facebook page at http://www.facebook.com/eatdrinksavorlife to stay in the loop about my eating, drinking, and savory adventures!